A healthy body leads a healthy life. But sciatica pain leads to a stressful and painful life. In other words, nobody likes to have pain in any part of our body let alone something like the back pain. The sciatica pain can hit you anytime and you wouldn’t even know how it started. But don’t worry, there’s no pain that some yoga poses can’t chase away. 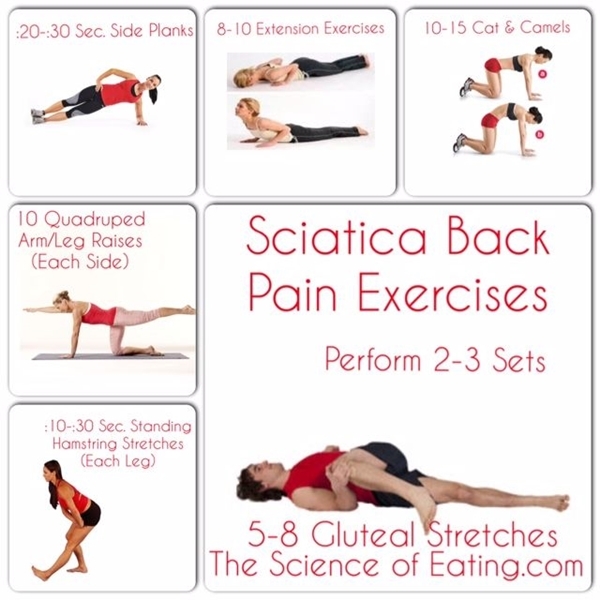 Here are some Effective Yoga Poses to Get Rid of Sciatica Pain. The sciatica pain also knocks on your door when you are pregnant. So, to reduce this pain you must also see these exercises. Let’s first get to know the sciatica pain that you are dealing with. Sciatica pain is actually the pain that radiates along the path of the sciatic nerve. The sciatic nerve is the largest nerve in the body so no wonder the sciatica pain is a dreaded pain in the behind, literally! This pain starts from your lower back through your hips and buttocks and runs down one or both legs. Don’t worry if you have it though, because it’s a common pain and many people suffer from this. When you feel a tingling sensation in your lower back it is time to be alert and see if you are falling a victim of sciatica pain. You might feel pain anywhere along the sciatic nerve pathway – the lower back, hips, buttocks, and back of the thigh or calf. There will be a little weakness and your knees will feel more strain while you are standing. Not feeling your legs, numbness, fatigue, strange sensations like burning, tingling or pinching, feeling a jolt of electricity, etc. all these are the symptoms of sciatica pain. The cobra pose helps to prepare the body for deeper backbends. It increases the flexibility of the spine and reduces fatigue stress. It also strengthens the spine and shoulders. The seated spinal twist pose will loosen your back and it increases the spinal mobility. It also stretches the outer hips. This pose relaxes your body and reduces stress. Just what a person suffering from the sciatica pain needs! The flexibility of the spine is something that this cat pose will definitely bless you with and it strengthens the spine as well. It stretches the muscles of the hips, back, abdomen, chest, and lungs. The child’s pose is the easiest of all. It’s great for the mind and soothes all your nerves. It’s great for digestion and elongates your lower back. It opens your hips as well and hence reduces the sciatica pain. The pose looks quite tricky; no wonder the name is the twisted lunge. But it really opens your hips and gives a thorough exercise to your lower body. Your lower body will thank you for this pose. The locust pose will strengthen your hips, thighs, legs and calf muscles. The back is stretched and toned. It will not just help in sciatica pain but it will improve the blood flow and help you in losing weight. Get a flat tummy with these yoga poses. Consider the sphinx pose as an extension of cobra pose. This pose will increase the flexibility and reduce the stiffness of the lower back. Besides soothing your sciatica pain, this pose will also tone your buttocks. It will release the tension from the whole body, especially from the torso, spine and upper body. Your back and hips will get a good massage and it also lengthens and relaxes the spine. 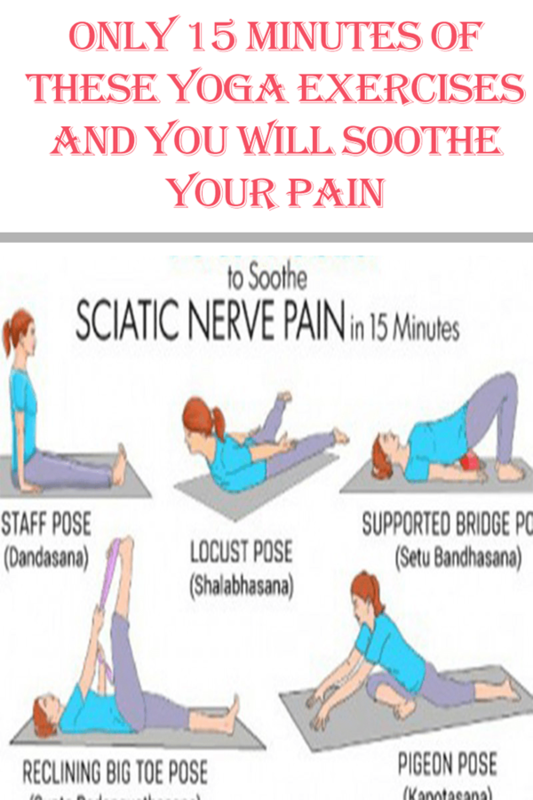 While sciatica pain mostly can be healed with these yoga poses, sometimes the pain is much severe and at that time you shouldn’t waste time and rather just visit a doctor. If the pain lasts more than eight to ten days or if the pain just becomes more intense and worse then you shouldn’t rely on self-help measures like these. In this busy life, no wonder you feel stressed and tired. Here are some amazing exercises that will energize you in a minute. 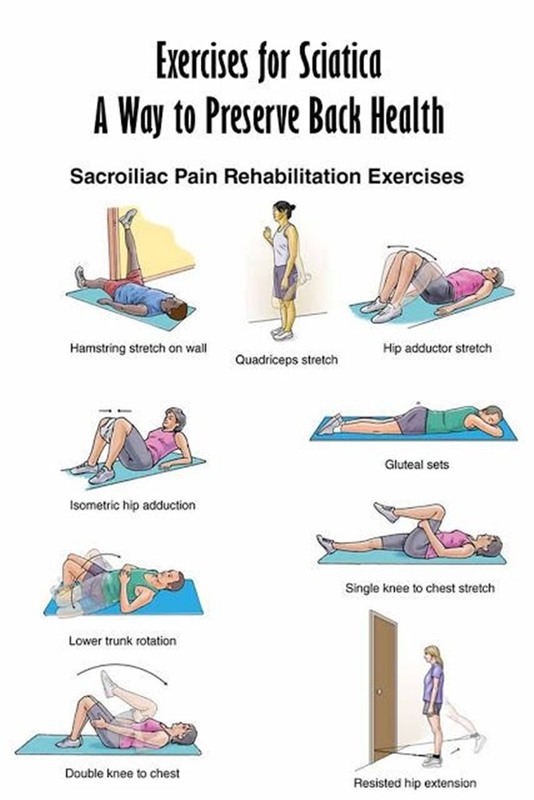 If you are one of the lucky ones who has not yet experienced this dreaded sciatica pain then stay lucky and don’t let this pain come anywhere near you. Now, how would you do that? Well, it’s simple! Start with regular exercises. Keep your back strong and maintain a proper posture while you sit. Avoid lifting too heavy stuff too. Get rid of sciatica pain with these easy yoga poses and live a pain-free life. And make sure you lose your post-pregnancy belly with these exercises.